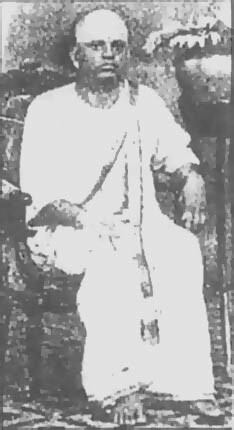 A classically trained musician, MKT had his initial training from Fiddle Vidwan Chinnaiya Pillai, later from Madurai Ponnu Iyengar, also a violinist and advanced lessons from Alathur Venkatesan, who was renowned for his insistence on perfection, discipline and a strict adherence to tradition. Much before MKT made his presence and talent felt in cinema, he had made his debut as a concert singer. His film songs and concerts spread an awareness of carnatic music among the lay listeners. As a singer, his outstanding features were the ability to sing for a considerable length of time at a high pitch, quite unusual among male singers, and accurate enunciation of lyrics. MKT had learnt songs from Alathur Venkatesa Aiyar, Panapasam Sivan, Vilathikulam Swamigal and other composers. When he became very popular in films, he was unable to visit Trichy quite often to learn from Alathur Brothers. He rented a house in Purasawalkam, Madras for the Brothers (who were not actually blood brothers) to stay and teach him. 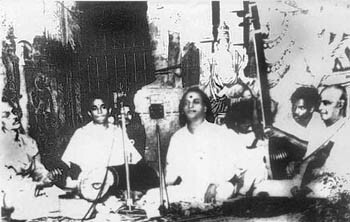 He evinced deep dedication, sincerety and Gurubakthi while learning music. He used to practise singing at around 4 a.m. and oftentimes in the presense of Papanasam Sivan. Those having residence in the vicinity of his house and who have heard his practice sessions have remarked that his voice would come wafting like an invigorating sea breeze to fill the early morning air! 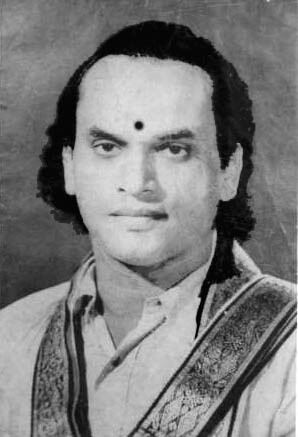 As a singer, MKT has been conferred titles such as 'Gandharva Gana Rathna', 'Sapthaswara Visharada', 'Sangeetha Kala Sagara', 'Ezhisai Mannar', 'Isai Nataka Peroli' and many more for his enchanting singing skills. 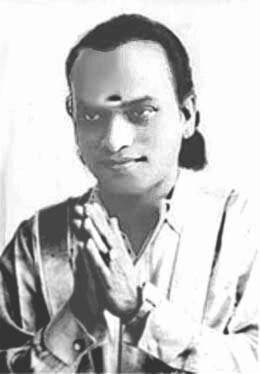 The titles of 'Gandharva Gana Rathna' and 'Saptaswara Visharada' were given to him at his concert in Kapaleeswarar Temple, Mylapore in March 1949. MKT was an 'A' grade vidwan in the AIR. Late T.Sankaran, Retd. station director of the AIR, Trichy, once said that MKT's dedication in music was deep and it contributed to his undoubted skills in carnatic music. He has narrated a few interesting anecdotes at various times. 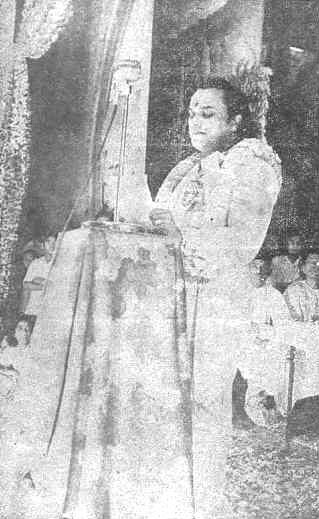 Once AIR Trichy organised the broadcast of MKT's concert. On the day of his performance, his car broke down while he was on his way to the AIR Station. MKT borrowed a bicycle to reach the AIR station on time. Despite his fatigue, his performance on that day was as good as ever. On another occasion, he asked Sankaran to change the tambura artist. When the concert was over, he told Sankaran that the tambura artist was once his Guru in music and it might hurt his sentiments if he were asked to play tambura for him. He further asked Sankaran to give a share of his fees to the tambura artist. Another incident narrated by Sankaran. 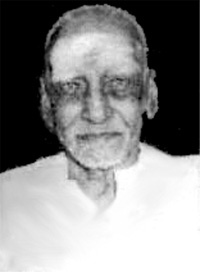 Sangeetha Kalanidi T.L.Venkatarama Iyer was doing research in dikshitar kritis. 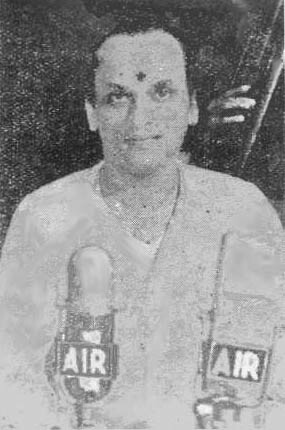 Sri Iyer came to the AIR, Trichy to record for the first time the Navavarna krithis of Muthuswamy Dikshitar for his research. Suddenly he made a request to meet MKT who was at that time at the height of his glory. Mr.Iyer had just listened to one of MKT's broadcasts and carefully made note of a Dikshitar kriti in Nagagandari raga with which Iyer was not familiar. 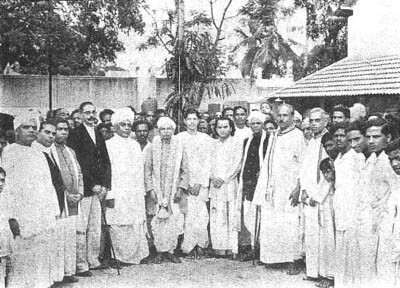 In the year 1941, the Tamil Isai Sangam was founded with the support of Rajah Sir Annamalai chettiar, Sir R.K.Shanmugam chettiar, Kalki Krishnamurthy and others. When approached for support, MKT and M.M.Dandapani Desikar willingly participated in the many conferences that were held and contributed much to the growth of the Sangam. 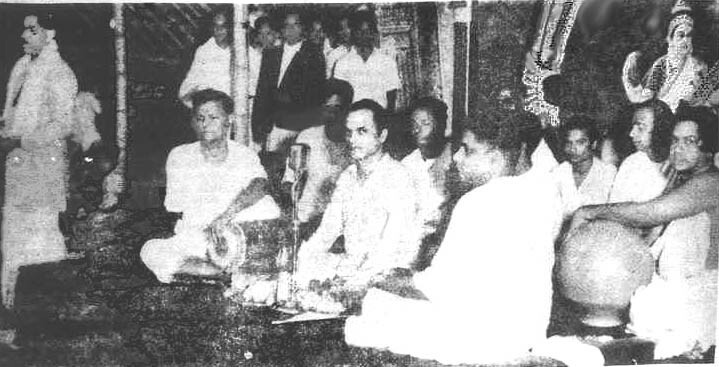 In later years, M K T also participated in the Pannisai research organised by the Sangam. 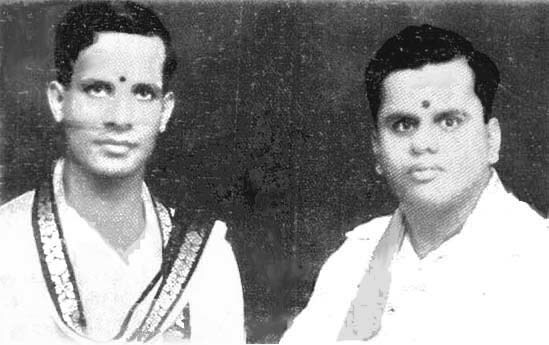 P.T.Krishnamurthy, Velayudaswamy and Periasamy Thooran. 'Veerahanumathe' in Hindustani kapi(Kaanada) besides singing pallavi in Shanmugapriya and Sankarabaranam and ragam thaanam pallavi in Kalyani. Ragam Thanam Pallavi in Shankarabharanam, Shanmukapriya and Kalyani. He has also sung a lot of uncommon tamil songs composed by the composers mentioned above. 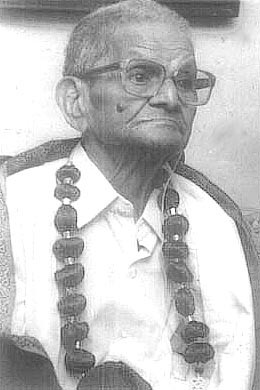 Bhagavathar has sung at the Sri Rama Seva Mandali, Bangalore, for many years. His concerts at temples and exhibitions used to attract huge crowds as the venues had the capacity to accommodate a large number of hearers and also perhaps they were concerts for which there was no tickets to be bought. People thronged such places to get a glimpse of MKT and hear his singing. His fans pressurised him to sing those catchy melodies from films but he relegated film songs to the latter phase of the concerts. 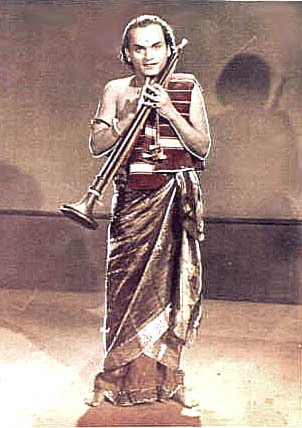 Even today, songs from his films such as 'Umayorbaagane' , 'Ambaa manam kanindu', 'Ellam sivan seyal', 'Unnaiyallaal oru', 'Chidambara naada', 'Oru naal oru pozhudu', 'Maname nee easan', 'Maanida jenmam', 'Gnana sabayil', 'Sivaperuman krupai', 'Arputha leelaigalai', and 'Krishna mukunda' are worthy of inclusion in carnatic music concerts and some of them are being sung too. Violinists such as (in no particular order) Mysore Gururajappa, Govindasamy Naicker, Trichy Balasubbarayulu, Sethuramaiah and Madras Balakrishnan, Mridangists such as Kuthalam Sivavadivelu pillai, Madras A. Kannan and Nagur Ambi Iyer, Ghatam players such as Alangudi Ramachandran, T.H.Vinayakaram, Vilvadri Iyer and Murugesh, Ganjeera artiste T.V.Diraviyam and Muharsing player Mannargudi Natesa pillai have accompanied MKT in concerts. MKT held his accompanists in high esteem and made sure that organisers of concerts, when they spoke, made favourable reference about the accompanists if they had only praised him for his singing and forgot to make mention about the accompanists. Alangudi Ramachandran once said that as a mark of his respect to MKT he never used the ghatam that he used in MKT's concerts at any other time. He also spoke highly about MKT's ability in the raga Panthuvarali. 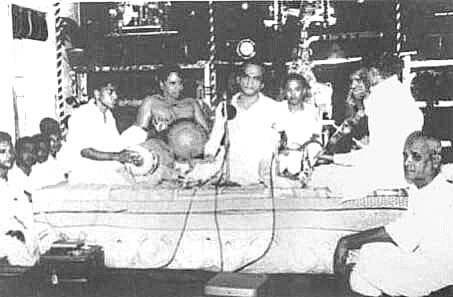 When NS Krishnan celebrated the Grihapravesam of his house at Nagarkoil, he organised MKT's concert. T.N.Rajarathnam Pillai was also present at the event. The Mrithangist who was supposed to participate in the concert did not turn up on that day. NSK immediately sent for a young boy who was local to that town to play the Mrithangam. The young boy came and played the Mridangam and during the concert, T.N.Rajarathnam Pillai sent a chit to MKT asking him to sing 'Rathey Unakku'. MKT obliged his request. When the concert was over, NSK praised MKT's music and gifted him a diamond ring. MKT gave the ring to the young Mridangist stating that but for his timely help the concert would not have taken place. MKT gave due importance to the state of mind of the composer. The singing was suited to the context in which the composition was made and the sentiments inherent in the lyrics. To his way of thinking, elaborate alapana or swara in songs such as 'Nenendu vethaguthura', were out of place because the song was composed when Sri Thyagaraja was in a dejected state of mind caused by the sudden disappearance of the Rama idol from his house. it has been said that MKT enjoyed the 'baani' (style) of Maharajapuram Viswanatha Iyer, G.N.B., Madurai Mani Iyer, Musiri Subramaniya Iyer, M.M.Dandapani desikar, T.N.Rajarathnam Pillai, M.S.Subbalakshmi and M.L.Vasanthakumari very much. 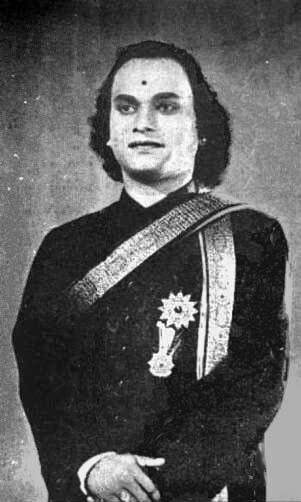 The famous critic Subbudu has written very commendably about MKT's 'Deena Karunakarane' and 'Maraivai Puthaitha' in the 'Isai Medaigal' series of articles he wrote for Kunguman once. 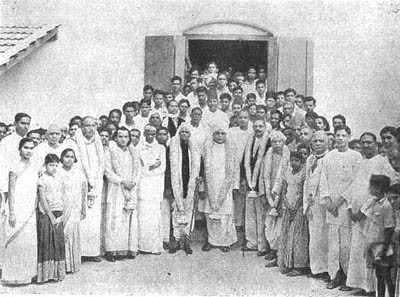 In 1951, Papanasam Sivan's Sashtiabdhapoorthy (60th birthday) celebrations were held at the National Higher Secondary School for Girls at Triplicane, Madras. 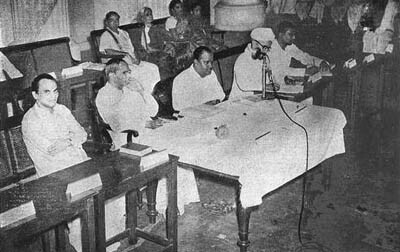 The then Chief Minister, P.S.Kumaraswami Raja, presided over the function and Smt. Rukmani Arundel spoke about the contributions made by Papanasam Sivan to the field of carnatic music. 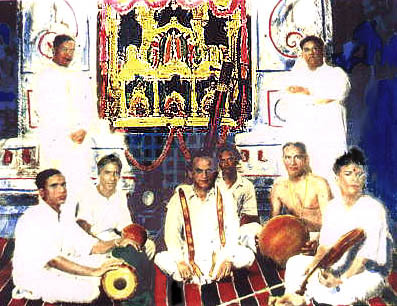 Sivan was given the title "Siva punya Gaanaamani" by the Acharya of Kanchi Kamakoti Peetam. MKT and other musicians gave classical carnatic music concerts on the occasion. Stalwarts such as T.L.Venkatarama Aiyar, Musiri Subramanya Iyer, G.N.Balasubramaniam, M.M.Dandapani desikar, Maharajapuram Viswanatha Iyer and T.N.Rajarathnam pillai and critics such as Kalki had high opinion about MKT's expertise in music. 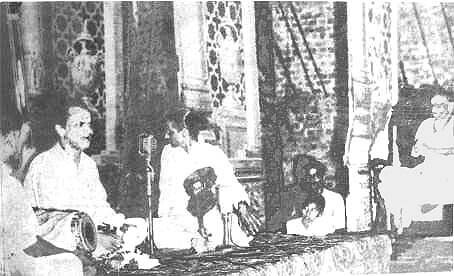 Thiruvengadu Jayaraman who was closely associated with Madurai Mani Iyer from 1949 till the demise of the latter in 1968, recalled that Mani Iyer would hear a lot of radio concerts, including MKT's concerts. Jayaraman remarked that Mani Iyer has lavishly praised MKT for his adaptability to any style of music and Gurubhakti. He has also recollected that MKT has visited Mani Iyer's concerts and both of them have had discussions at the end. 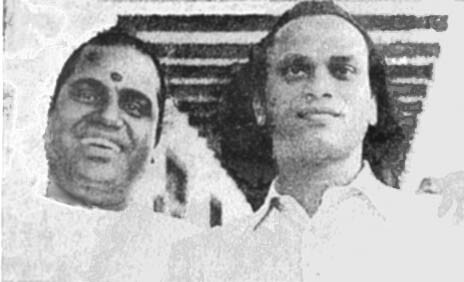 Once at the end of a radio broadcast, somebody criticised MKT's and T R Mahalingam's music in the presence of Mani Iyer. Mani Iyer, who was not known to lose temper too often, quipped 'Are the thousands of people who come to listen to Thyagaraja Bhagavathar mad ?'. 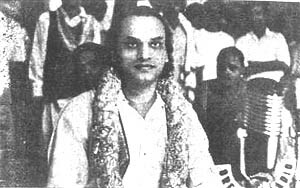 Mani Iyer, on a different occasion, remarked 'Thyagaraja Bhagavathar paattula oru gouravam irukku, mariyaatha irukku'. 'Gouravam' and 'Mariyatha' are, his fans say, the laudatory words which Mani iyer often used. 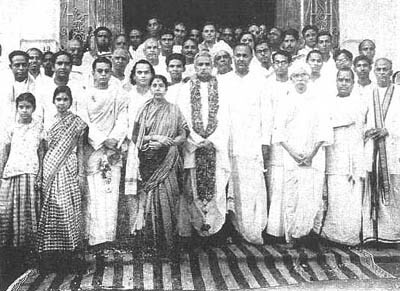 Another close associate of Mani Iyer, Late Sri Ananthanarayana Iyer of Golden Rock has often recollected that Mani Iyer did hesitate for a long time to sing Eppo Varuvaaro after the release of Sathvaguna bothan. Mani Iyer said 'Thyagaraja Bhagavathar ennamaa paadi irukkaar paathela, enakku paadave thona maattengarathu'. This is not only a tribute to MKT's singing but also shows the innate humity of the venerable Mani Iyer. 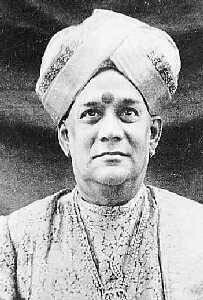 When T.N.Rajarathnam pillai celeberated his son Sivaji's wedding he organised the concerts of Ariyakudi Ramanuja Iyengar, Madurai Mani Iyer, GNB, MKT and KBS. In the wedding invitation he had 'Sangeetha Vidwan' printed against the names of all the singers. He recognised MKT as a vidwan and at par with the other vidwans.The marriage was celebrated for three days. Tiruengimalai near Kulithalai is famous for a hill temple to Lord Siva. 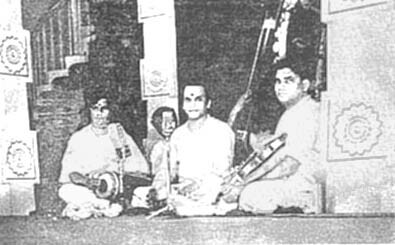 Once during the temple festival, the temple authorities organised the concerts of T.N.Rajarathnam Pillai, Vidwan Sundararajan and MKT to be performed on the same day. The concert of T.N.Rajarathnam Pillai started at 6 p.m. and was over by 9 p.m. Then came Sri Sundararajan and gave his concert till 1 p.m. Finally MKT started his concert and it went on till 5 a.m. MKT made a request to Sri Sundararajan, who hailed from Thuraiyur, to stay and listen to his concert and give his views. He also promised to drop Sunderarajan at his residence in his car while returning to Trichy. Sundararajan heard the concert from start to finish and remarked that MKT's performance on that day was astounding. 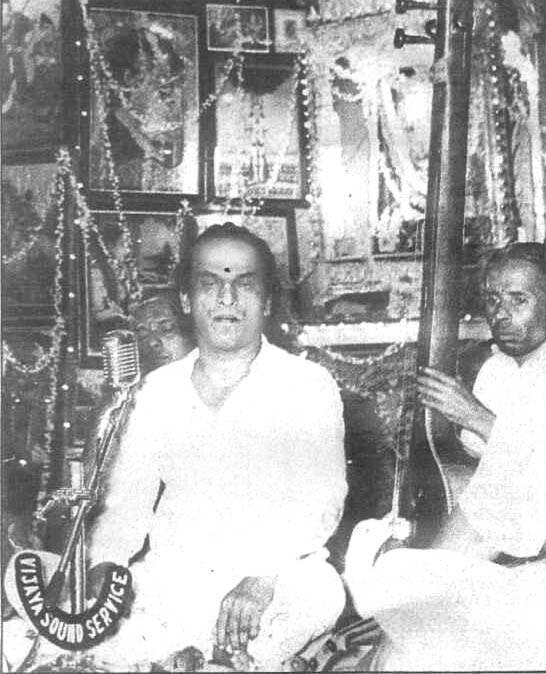 MKT sang the Dikshithar krithi "Sri Veera Hanumathe " in that concert, which always lingered in Sundararajan's mind. He has profusely praised MKT's knowledge in carnatic music and generosity. 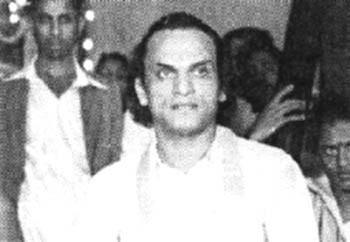 As a singer, MKT had immense stamina, which he had probably gained from his experience as a stage artiste, when stageplays went for quite a long duration. During the Sri Rama Navami festival at Bangalore he used to start his concert by 6 p.m. and it would go upto 12.30 a.m. Next day morning at 9 a.m. he would give another concert and it would go upto 1 p.m. His music never got strained due to fatigue. For his contribution to the growth of Tamil Isai Sangam, he richly deserves a posthumous conferment of the 'Isai Peraringar' title. Despite having given many concerts, MKT has not rendered classical kritis on gramophone records. But spool tape recordings of his concerts have been made. 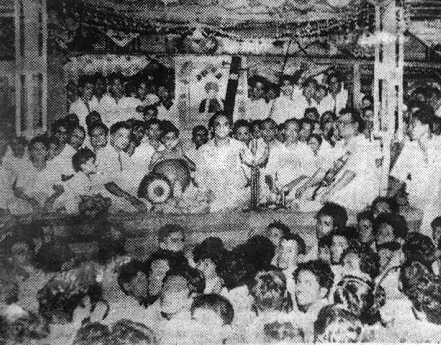 For instance, one can see the concert being recorded in a spool tape in the Saraswati Gana Nilayam photo in this page above. So far none of MKT's concert recordings have been discovered and released. One wonders how many of such spool tapes have been lost or decayed in the efflux of time. His concert recordings, if they still exist, will be priceless treasures and a treat to music lovers. Let's hope that they are discovered and brought to light some day, which would give us a useful resource to learn more about MKT as a carnatic musician.